If you love a good physical edition to add to your Switch collection, you'll probably be pleased to know that both Yooka-Laylee and Golf Story are now available to pre-order in physical form at Best Buy. Both games come courtesy of Limited Run Games which, up until now, exclusively released physical versions of indie games via its website. We first heard about these Limited Run Games titles appearing in Best Buy last week, with an "unannounced game" set to join these two in late December. Both of these titles are now sold out on Limited Run Games' site, so this is probably your best chance of tracking down a copy if you're interested. Will you be picking one up for yourself? Let us know with a comment below. $50 for Yooka-Laylee? Pass. I'll just stick to it on PS4. My interest is piqued with Golf Story for that price though. I have to agree. Yooka is a really underrated game but $50 is too high a price for me right now when my money is going towards Pokemon, Smash, Civilization, and holiday shopping. Golf Story is excellent. Rarely do I put a game on such a high pedestal for its humour alone, but the writing really is that good. @Frenean I've wanted to pull the trigger on it for a long time, but have always wanted to find a physical edition. I think I finally will now. Note that this won't be the last chance to get Golf Story physical. Fangamer will have the remaining 1000 pieces of their Collector's Edition with trophy sometime around January, as I recall. Might pricier than the game on its own though. I can only imagine the Canadian prices... I recently bought Golf Story and it was 34% off. No regrets. Those who don't have it will find someone that has it you trust and pay them for buying it. Far cheaper then the 50 smackers. There, now you've seen all there is to see here. Already pre-ordered on Limited Run website. 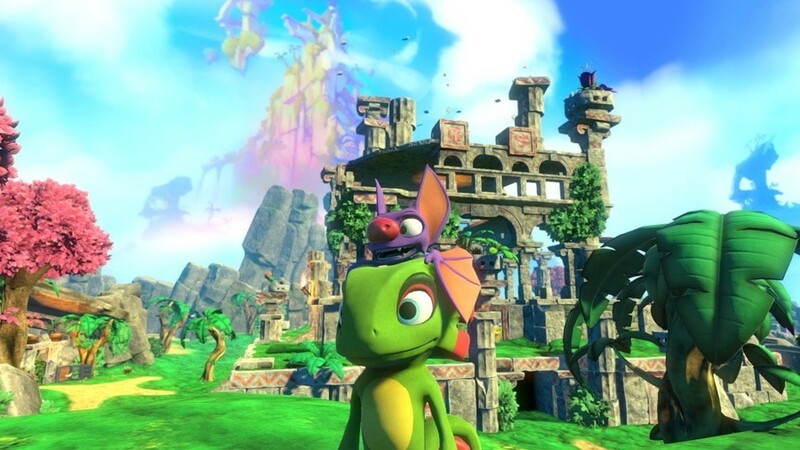 I'll probabaly just go digital on yooka laylee when it's on sale next. I just can't fork over $50 for a physical on that game. I recall there being some luke warm reveiws as well. 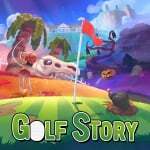 Edit: And as much as i loved golf story( one of my favorite games on switch), I wouldn't recommend it at $30. The only thing going for it at that price is that you can golf all the courses with multiplayer so it has replay value. Just got Golf Story for like 9 bucks on Eshop which is a steal. Some glitches here and there (running and getting snagged on a tree, which forced me to return to the menu) but overall a very polished game. Like that collector’s edition being show off a while back with the nes cartridge. 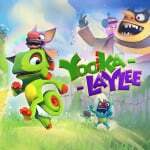 Been holding off on yooka-laylee until a physical version came to the UK...hopefully it will follow quickly! Yooka-Laylee becomes $40 after GCU which is what it costs in the eShop. Tax on the hard copy will push it a bit above $40, but still not bad. Well isn't that noble of BB, these are the exact same prices LRG charged customers on their website. Are you telling me LRG gave BB some discount... Why didn't the loyal customers receive that same discount LRG, why...? @SuperGhirahim64 and yet you pay for xbox, ps4 high price games. Some ironic comments. @SwitchForce and yet I don't even own an Xbox One or PS4? @SuperGhirahim64 that's what they all say to get out. I really want Yooka Laylee physical but being from the UK would have to import this. The Price is just to high. Looks just about right sitting rhere next to the other console versions.....think I'll pass! Pre-ordered Yooka-Laylee a couple months ago. Can't wait to finally play it!